The new Sinn EZM 3 Flieger takes its design cues from the Sinn EZM 3 (a diver's watch). Although the case size and overall construction are the same, the dial, bezel and water resistance differ. 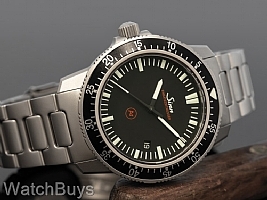 The original Sinn EZM 3 diver's watch was released in 2001 and remains a bestseller to this day. Over the years both we and Sinn have received many requests for an alternate version of this watch, namely a cleaner dial with no numerals and a pilot's countdown bezel. The new Sinn EZM 3 Flieger is that watch and results from direct feedback from Sinn's customers. 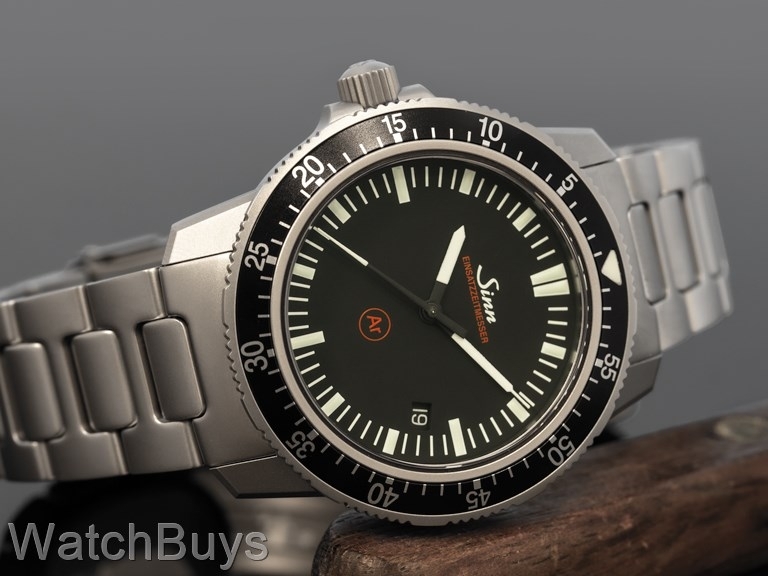 This watch will not replace the current Sinn EZM 3 - both will coexist with one designed for divers and one for pilots. The Sinn EZM 3 Flieger features a clean and highly legible dial with no numerals. The five minute indices are coated with SuperLuminova for excellent visibility at night. The pilot's bezel is ratcheting bi-directional and of a "count down" design (55 is to the right of 12). This watch also uses a white date display rather than red for increased visibility and legibility (after seeing this watch in person today we agree that the date is much more legible). The case has an iron core to protect against extreme magnetic fields. Sand-blasted stainless steel case with reversed screw down crown and matte black dial with luminous hands and markings. This watch is water resistant to 200 meters. This watch is fitted with a Sinn bead blasted stainless steel bracelet. Verified Owner Comments: I really enjoy the EZM 3f I purchased. It is built very well and is really comfortable on the wrist. I will definitely buy another Sinn. Watchbuys was really easy to deal with as well.